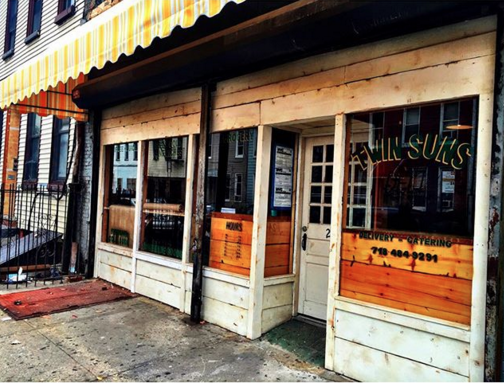 Part bottling facility, part deli/grocery: Say hello to Twin Suns Deli, opening mid-December at 244 Himrod Street in Bushwick. Twin Suns was initially conceived as a space to bottle their branded MTH (Montana’s Trail House) Switchel Concentrate - a vinegar based elixir with maple syrup. “Think: Kombucha’s grandmother,” Montana Masback, part-owner of Twin Suns and current owner of Montana's Trail House, told me. The business is six owners strong: Danielle Masback, Richard Porpigula, Nate Courtland, Austin Hartman, Stacy Hall, and Montana Masback. 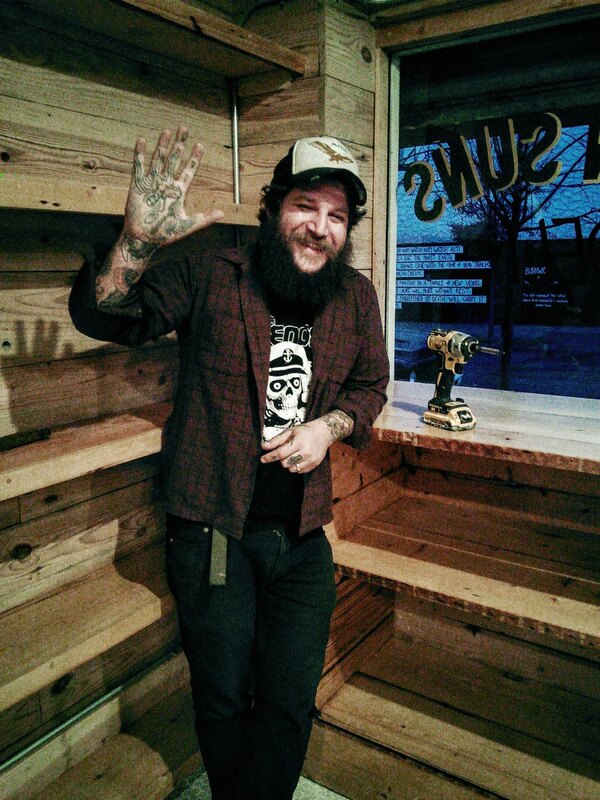 A short block away from Montana’s residence of eight years, I spoke with Montana on the philosophies behind Twin Suns Deli, which was nothing short of refreshing for a neighborhood that is riding the waves of gentrification, some waves which have yielded longtime business owners being priced out of the area. “We’re accepting EBT,” he said, smiling. Montana would like for the community to have a clean eating option unrestricted by income. Their menu will be comprised of roughly nine sandwiches ranging in price from $6.00-$12.00, including fried chicken, muffuletta, Jersey pork roll, and jerk vegetable. Serving Oslo coffee, Twin Suns wants those early risers to check them out from 7-9 a.m. for their breakfast deal: small coffee + mini breakfast sandwich for $5. There will be no alcohol served at Twin Suns, but there will be candy! “I want a place that a kid can go and find cool candies that are naturally sweetened, “ says Montana. 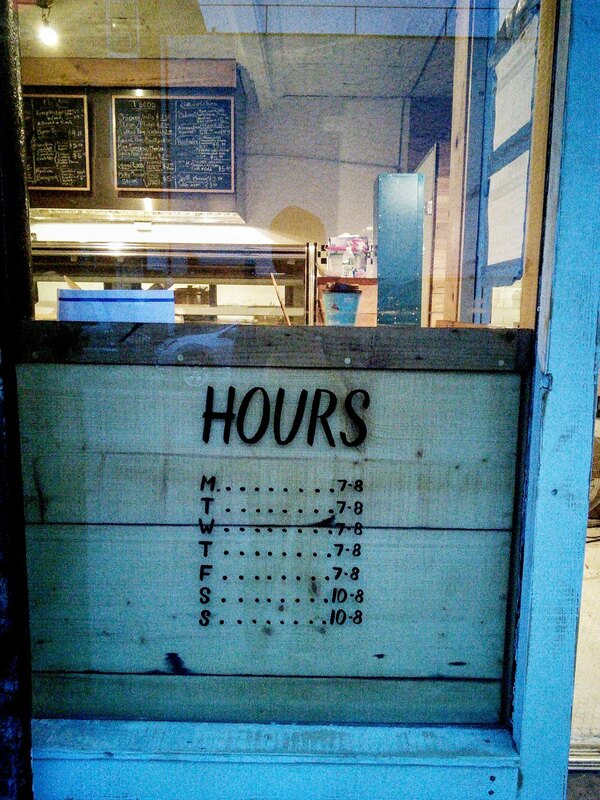 Closing time will be around 8 p.m, so think of them on your way home from work. Currently in the process of having their wholesale products FDA approved, the downstairs part of Twin Suns will soon be devoted to the bottling of their own switchel, hot sauce (three different kinds! ), vinegars, shrubs, and rubs. 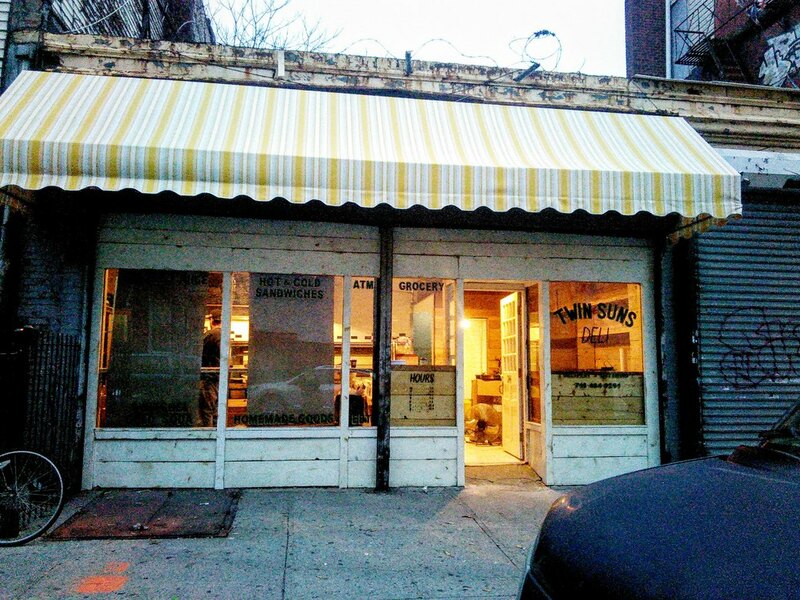 The team at Twin Suns is bananas for switchel, so consider trying it out when they open. Your stomach will surely thank you. On the main level there’s a separate soundproofed room for juicing only, since they plan on juicing a lot for the community. A glass case up front will be stocked with prepared food items with ingredients from Battenkill Creamery, Fox Hollow Farm, Clawhammer Farm, and Dirty Boots Farm - all local to New York state. Something about offering mac & cheese, a rotating grain bowl, and a veggie coleslaw were mentioned as teasers for you all. “When you walk into a store - whether or not you've made the commitment to buy something that was made by a farmer - it’s your first step to building a connection with local agriculture and small business and not necessarily supporting Fortune 500 companies. However, we will be selling Heinz ketchup because that's what ketchup is,” says Montana. Down the road they envision doing whole animal butchering. Beautiful wooden shelves built by Montana himself will hold groceries, which will range in price from $1.50 to $20, however the majority will be on the lower end. With their decision to sell very familiar, iconic brands, like Domino Sugar and Heinz ketchup, alongside products represented by local farms or small batch artisan goods, Montana understands the uncomfortable reality of walking into a store filled with brands that aren’t generally recognized. If you see something familiar you might notice the unfamiliar products surrounding it, easing yourself into being acquainted with a wider range of products. Since he’s been in the neighborhood for nearly a decade, Montana has established a close relationship with Bushwick and, throughout this process of actualizing Twin Suns Deli, has been very transparent with his neighbors about his new spot. “It’s important to know where you are and to know your neighbors. And doing something that's positive is also really important. There are people that bridge that gap and I just want to be another one.” When I was there, a neighbor to Twin Suns dropped off a huge bag of goodies to aid in the cause of opening, a courtesy which probably wouldn’t have been extended had the team over at Twin Suns Deli not been so damn awesome. They’re sitting on a mid-December opening, folks, so keep your eyes peeled and your tummies dreaming.